UPDATED: Wed., Oct. 24, 2018, 4:51 p.m. 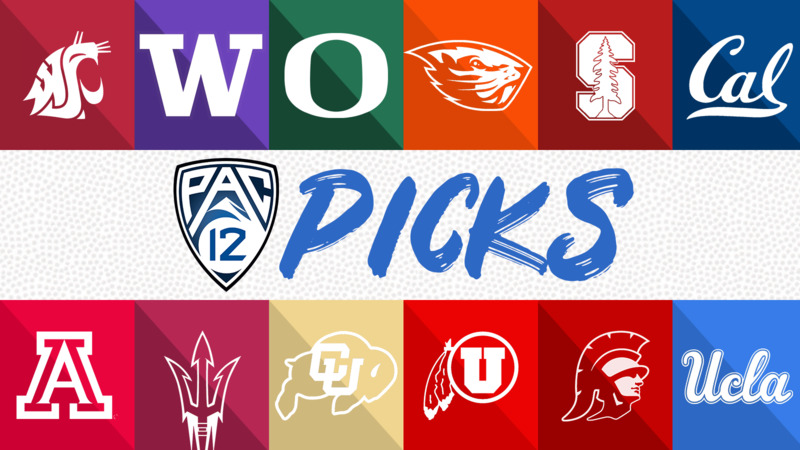 The oddsmakers aren’t anticipating too many riveting games across the Pac-12 landscape this weekend – at least not compared to last week, when five games were expected to be decided by eight points or less. After faring just 2-8 against the spread these last two weeks, let’s hope that means good things for these picks. Utah by 10 – With nine touchdowns and 639 all-purpose yards in the last two games, Utah’s Tyler Huntley could be the hottest quarterback in the conference – the exception obviously being Washington State’s Gardner Minshew. Nonetheless, Huntley and the Utes should be eager to feast on a UCLA team that’s allowed 30 points or more in six of seven games. The pick: Utah 38, UCLA 24. Colorado by 24 – With the next-closest thing to a bye week on deck for Colorado, the Buffaloes ought to give wide receiver Laviska Shenault Jr. another week of rest. The Beavers haven’t won a Pac-12 game since the 2016 season finale and haven’t won a game on the road since Oct. 4, 2014. The pick: Colorado 48, Oregon State 17. USC by 6 1/2 – The Trojans, as shaky as they’ve been this season, are protecting one of the country’s longest home winning streaks (19 games) and the Sun Devils have been abysmal on the road (0-3) under first-year coach Herm Edwards. USC is turning to a third-string quarterback here, but the Trojans should still eke out a win. The pick: USC 31, Arizona State 30. Washington by 12 – Cal signal-caller Chase Garbers looked as comfortable as he has all season last weekend against Oregon State, but it won’t come so easy for the freshman Saturday against a Husky team that’s known for making QBs uncomfortable. Perhaps the UW offense can finally break loose, too. The pick: Washington 44, Cal 20. Stanford by 3 – Both teams would sure love a win here for end-of-the-season Pac-12 North tiebreaker scenarios. The Cardinal haven’t been as competent on offense without Bryce Love and the defense looked more than vulnerable during a three-game stretch against Oregon, Notre Dame and Utah. Pulling a full game ahead of Oregon and Stanford – and beating both – would give the Cougars some leeway down the stretch. The pick: will be in Saturday’s paper. Oregon by 9 1/2 – When the year started, this projected as an intriguing North vs. South duel featuring two of the Pac-12’s Heisman hopefuls. Neither Justin Herbert or Khalil Tate is in the picture at this point. To decrease the allure of the game in Tucson, there’s a chance only one of the quarterbacks will be playing. The pick: Oregon 45, Arizona 28. Published: Oct. 24, 2018, 3 p.m. Updated: Oct. 24, 2018, 4:51 p.m.